The bar is set pretty low for the MTA these days. Even with plenty of station closures, trains operating only every 10-12 minutes, and many trains rerouted via other lines, overall it seems like a decent weekend schedule with no major disruptions. Check out a detailed list of the planned service changes below. 5 trains are running between Dyre Avenue and Bowling Green. Every Wednesday, Friday and Saturday, 12:40 a.m. to 5 a.m. Hunters Point Avenue and Vernon Boulevard-Jackson Avenue – bound 7 trains board at the Flushing-bound platform. Ozone Park/Far Rockaway-bound A trains will skip 116, 110, 103, 96, 86, 81 and 72 Streets in Manhattan but will stop at 163, 155 and 135 Streets in Manhattan. A trains will be running every 10 minutes between 207 Street and Rockaway Blvd. Euclid Avenue bound C trains skip 116, 110, 103, 96, 86, 81 and 72 Streets in Manhattan and will be running every 12 minutes. E trains will be running local in Queens. E Trains run via the F in both directions between 21 Street-Queensbridge in Queens and Lexington Avenue/63 Street in Manhattan and via the R between 57 Street-7 Avenue and Whitehall Street. Also, E service between Briarwood and Jamaica Center in Queens is replaced by free shuttle buses. The L will be running in two sections with delays: 1. Every 8 minutes between 8 Avenue, Manhattan and Broadway Junction 2. Every 24 minutes between Broadway Junction and Rockaway Pkwy. Norwood-bound D trains skip 155 Street in Manhattan, 161 Street and 170 Street in the Bronx. D trains will run via the N in both directions between 36 Street and Stillwell Avenue. D trains will run every 12 minutes. F trains run local in Queens in both directions. Jamaica-bound F trains are rerouted via the E after 47-50 Streets in Manhattan to Roosevelt Avenue in Queens. 57 Street F station is temporarily closed. F trains skip 21 Street-Queensbridge, Roosevelt Island and Lexington Avenue/63 Street in both directions, take rerouted E and R trains instead. F service between Church Avenue and Stillwell Avenue in Brooklyn isn’t running, but shuttle buses will be available. The M isn’t running between Metropolitan Avenue in Queens and Essex Street in Manhattan, take the J or free shuttle buses. Broadway and 39 Avenue N and W stations are closed. Astoria-bound N trains skip 36 Avenue and 30 Avenue in Queens and run via the Q from DeKalb Avenue in Brooklyn to Canal Street in Manhattan. Coney Island-bound N trains skip Fort Hamilton Pkwy, New Utrecht Avenue, 18 Avenue and 20 Avenue. 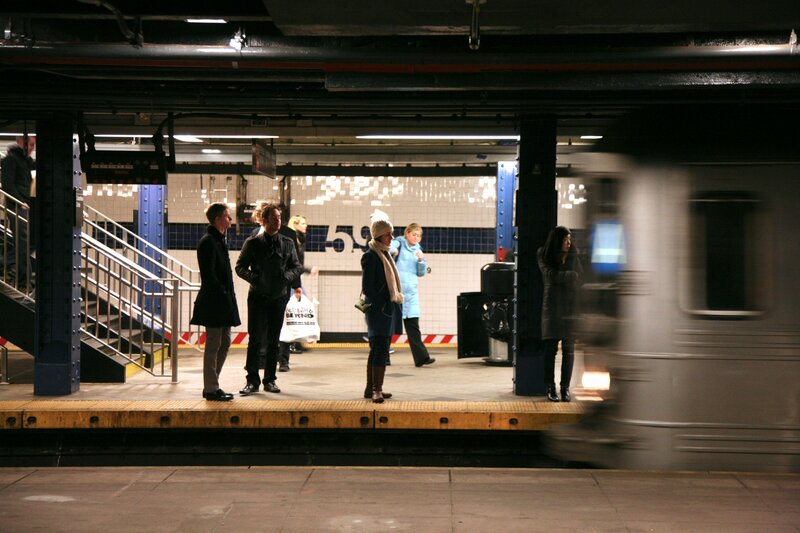 N Trains are making local stops in Brooklyn at 53 Street and 45 Street in both directions. The R will skip 5 Avenue/59 Street, Lexington Avenue/59 Street, and Queens Plaza in both directions. Late night R Service is suspended between Whitehall Street in Manhattan and Atlantic Avenue-Barclays Center in Brooklyn. Trains skip Union Street, 4 Avenue-9 Street, Prospect Avenue and 25 Street in both directions. Forest Hills-bound R trains run via the Q from DeKalb Avenue to Canal Street. Broad Street-bound J trains skip Flushing Avenue, Lorimer Street and Hewes Street. Jamaica Center-bound 104 Street platform is temporarily closed. For the rest of the year, Church Avenue-bound G trains skip Greenpoint Avenue. The G won’t be running between Bedford-Nostrand Avenues in Brooklyn and Court Square in Queens, but there will be shuttle bus service.